Its 2015, we have arrived. The future is here, well almost. 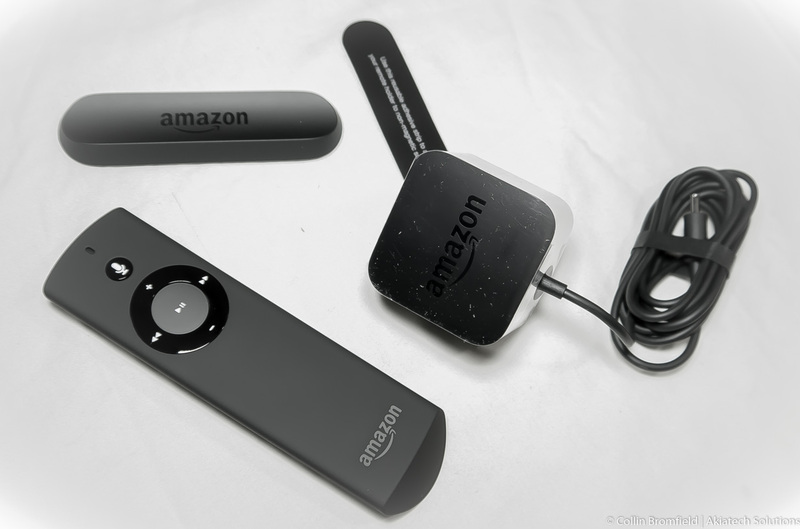 Not too long ago I wrote a post on Amazons new Echo device. After much begging and pleading I was able to get my hands on one by signing up for an invitation on the page Amazon has dedicated to the device. I am one of the lucky few who signed up early and was able to receive my device in less than two months. I read a review of another blogger who had the misfortune of placing his request last month but wont be getting his device until August. In my previous post I made some speculation as to the reason Amazon chose to use “Alexa” as the trigger word to activate the echo. After reading the Echo’s FAQ it seems that the word is an abbreviation of the word Alexandria, referring to the Royal library that was located in Alexandria Egypt. Not sure how they avoided any flak from the other Alexa, but I’m sure they covered all their bases before they chose to use that name. One foreseeable problem I could see being caused by the use of this word is if the device is setup in a household that actually has someone with the name Alexa. The only other keyword at this time is Amazon. I would feel pretty weird calling the device Amazon, but according to the company there will be other keywords to choose from in the future. 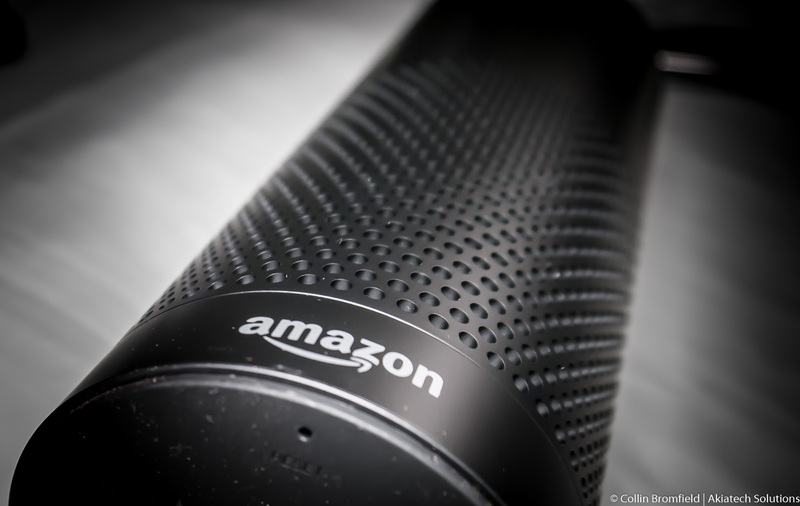 The amazon echo could be best described as a web connected speaker with minimal voice recognition capabilities. It is comparable to Apple’s Siri or Microsoft’s Cortana without having to use a phone or computer. The device is great at what it does but what it does is limited. For example, It is great for random general knowledge questions, pulling up songs from Prime music, iHeart radio and Tunein music services and mostly for the novelty factor of having a talking speaker with cool lights but outside of that there’s not much else you can really do with it. The Echo is not a replacement for your tablet, computer or home audio device, not that it was ever marketed as that. The Echo is great for getting the latest news updates but will only play from a specific selection of categories that can be accessed from the companion app. It will not from my experience provide you with any local information whatsoever outside of your current weather and will sometimes fail to recognize or flat-out ignore some requests. I do understand that for all intents and purposes this is a beta device and will need input from the user community to become a more refined product. Amazon does make this easy though by providing the ability to submit suggestions through the companion app. The Echo comes packaged in a nondescript black box that provides no clues as to what is packaged inside. Once you open the box though you will be welcomed to a bright orange interior with the Echo sitting in the middle and the accessories flanking it in their own dedicated compartment. Once powered up the LED ring on the top of the device starts to glow blue in a circular motion. 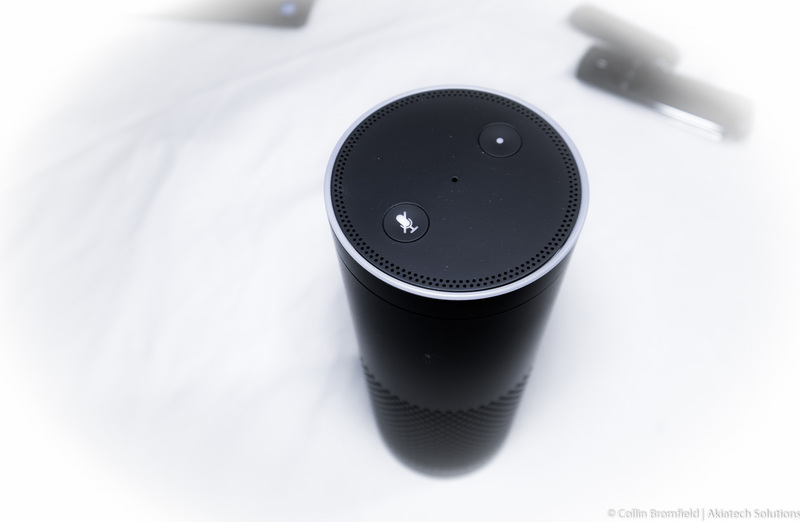 Once the device goes into setup mode the color will change to orange after which you will be prompted to pair the device with the companion application that links to the Echo via Bluetooth and gives you the option to connect it to WiFi and configure some user settings on the device. The app is available on popular tablets and handsets and is required for the initial setup of the Echo. After the pairing process is complete and the Echo is connected to WiFi it audibly lets you know that it has been configured and is ready to be issued commands. The Echo is a breeze to use as long as you work within its limitations. It is a great device to have around. What I’ve been doing is in the morning I will ask “Alexa” to give me the latest headlines usually after the alarm that I verbally set on the device has woken me up. Once I get my news update then I will tell the device to play some tunes to get me going. Once the workday is done and I’m back home I’ll get the evening headlines and then play some relaxing music to finish off the day. There is also a selection of nature sounds for those of you that are into that. I Know that the device can work as a Bluetooth speaker but I’m not sure if it can also be used to make calls, I’m sure if the option isn’t there already it may get rolled out in future updates. The device may have additional features that I’m not yet aware of. There seems to be an option to add things to a shopping list but I haven’t had much experience with that feature of the device.